. When you need medicines, how about such a place? 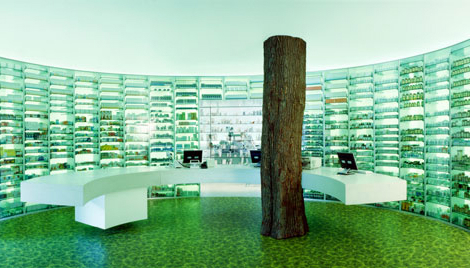 In the store, there is a natural tree trunk on green floor feels turf, also transparent green trays with medicines. The interior is designed by the the Netherlands hop architectural firm Concrete. The interior design has earned numerous awards.